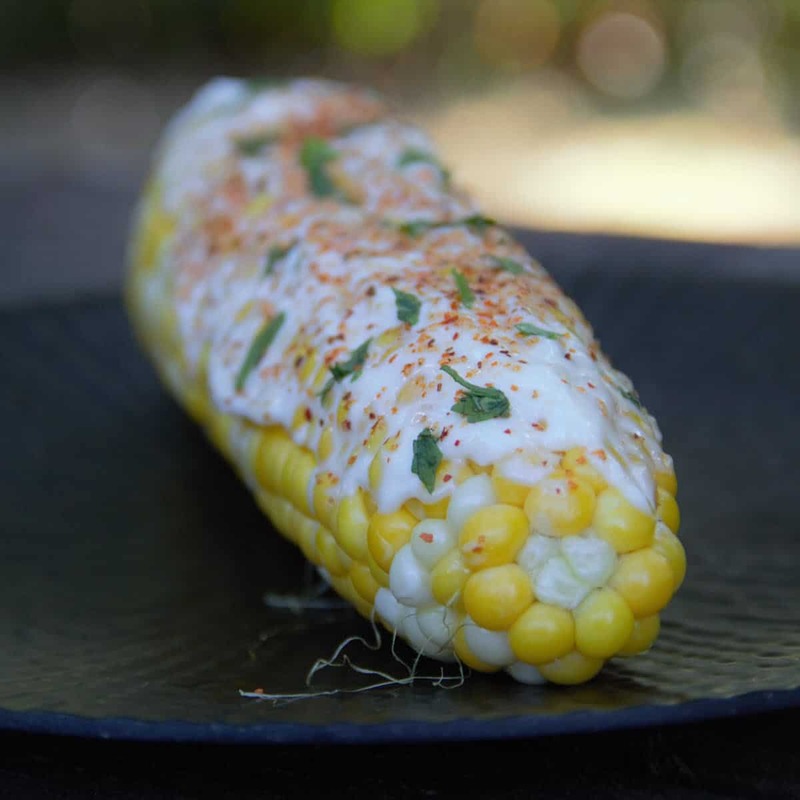 Elote, Mexican for corn on the cob, is a popular street food for a snack or side dish. The corn is cooked in its husk over the grill then returned husk free to get a little char. Finally it is topped with a combination of mayonnaise, spices and cojita cheese. This is perfect for a camp snack, pre-dinner appetizer or side dish. Place the corn with its husk on in boated foil, then pour in 1/4 can of beer, then fully wrap tightly with the foil. Repeat for all four cobs of corn. Place the foiled corn on a hot grill and cook for 15 minutes, turning every 5. Unwrap the cooked corn and pull back the husk or fully remove. 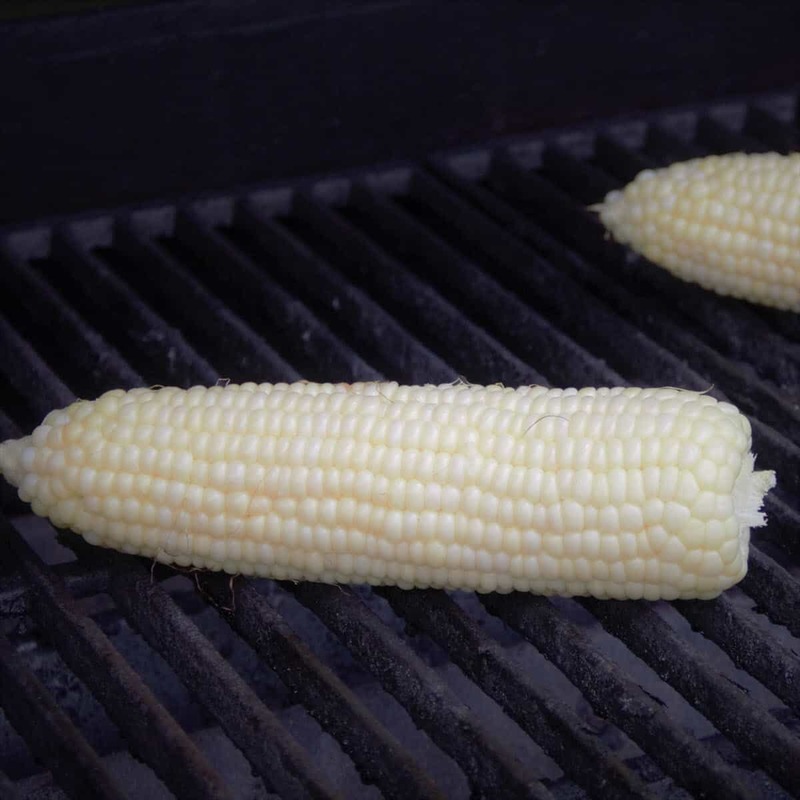 Return to the hot grill to get a char on the corn. Spread the mayonnaise on the corn then dust with your choice of seasoning(s). Finally sprinkle with the cheese and serve with lime wedges. Hands down the best corn EVER! This is the corn you pick up and take a bite and you don't put it down until it's completely gone!!!! This corn is awesome! It is a must try! 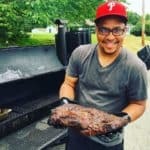 My corn was from the chef himself! PJ fixed this for me on Father's Day it was amazing! I loved it as well as the rest of the family.